Take the Emirates by storm by exploring our unforgettable Abu Dhabi and Dubai Day Tours. Experience the fun of our Dubai Day Trips visiting the Man-made wonders in a bustling modern metropolis, The Palm Jumeirah the first resort to be built on the island and is themed on the myth of Atlantis, the Burj Al Arab the world’s most luxurious hotel, Burj Khalifa a skyscraper in Dubai, and the tallest man-made structure in the world, Dubai Mall one of the world's largest shopping malls, Sheikh Zayed Grand Mosque the world’s largest mosques, with a capacity for an astonishing 40,000 worshippers, Ferrari World the world’s first Ferrari theme park and the largest attraction of its kind, and More with our Dubai New Year Packages, and more. Be inspired and live the luxury. Dubai by day can be just as beautiful as Dubai by night. 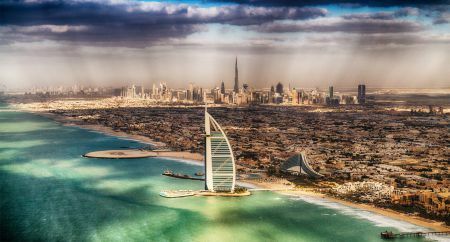 Come to join us and choose from our unforgettable Dubai Excursions, and explore this desert metropolis like only Memphis Tours can show you. The Burj Khalifa a skyscraper in Dubai, and the tallest man-made structure in the world, Dubai Mall one of the world's largest shopping malls, Burj Al Arab the world’s most luxurious hotel, Al Ain City , Abu Dhabi, Musandam located on the northern border of the Sultanate of Oman, and Desert Safaris a must for everyone who is visiting UAE, Dhow Cruises a traditional Arabian sailing boat, Ferrari World the world’s first Ferrari theme park and the largest attraction of its kind, and more are all waiting for you. 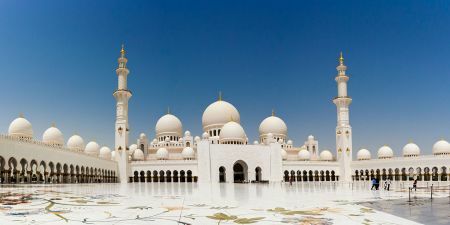 Come and experience the land of opulence and sophistication with an Abu Dhabi Excursion or Day Tours. Choose from a range of tours and see all the famous attractions of Abu Dhabi. Enjoy the incredible sites such as man-made Yas Island, Ferrari World, Dhow Cruise, Desert Safari, Dubai, Al Ain and more.